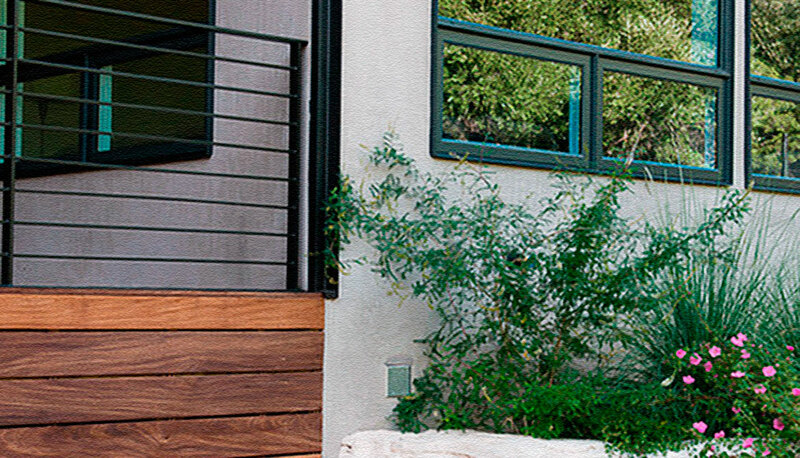 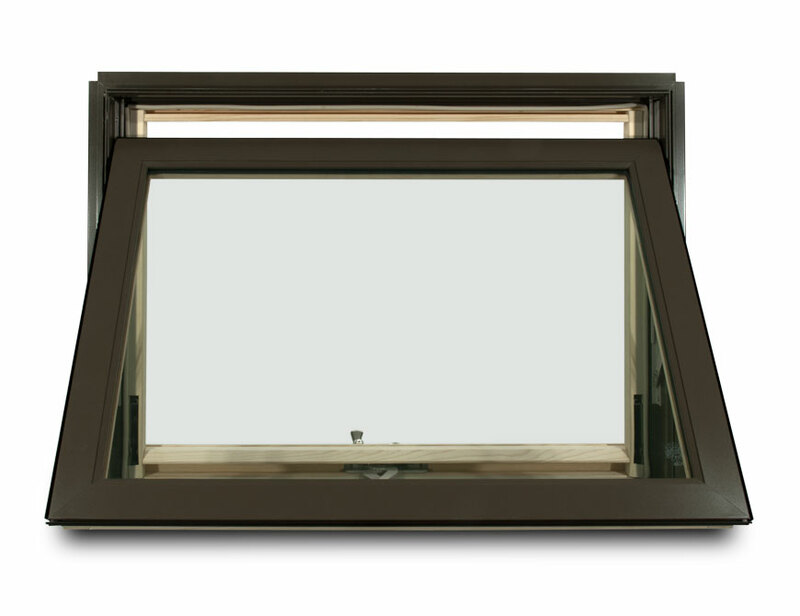 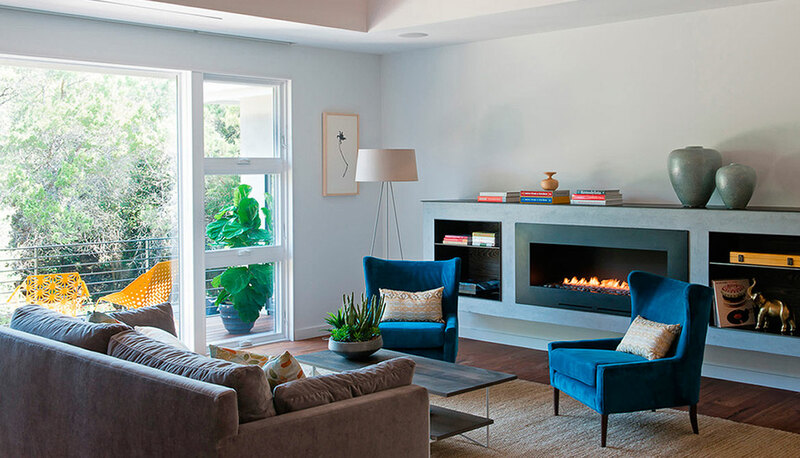 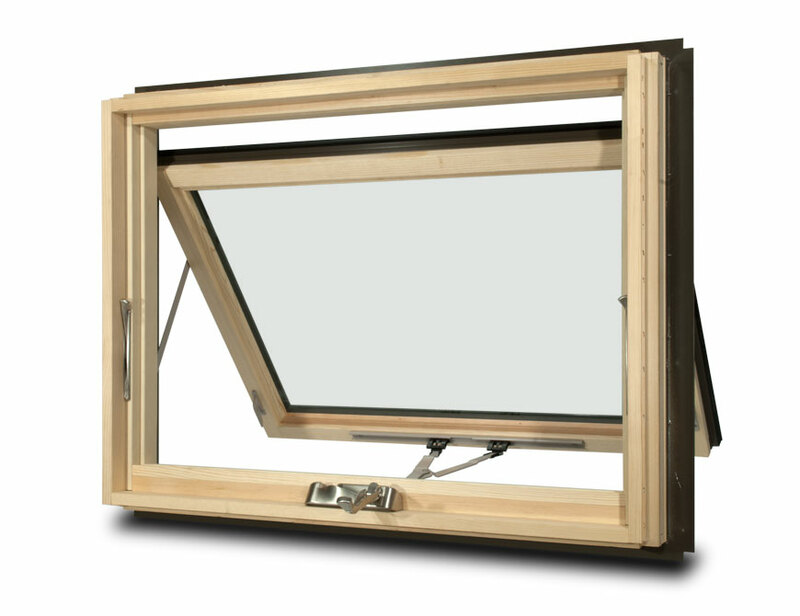 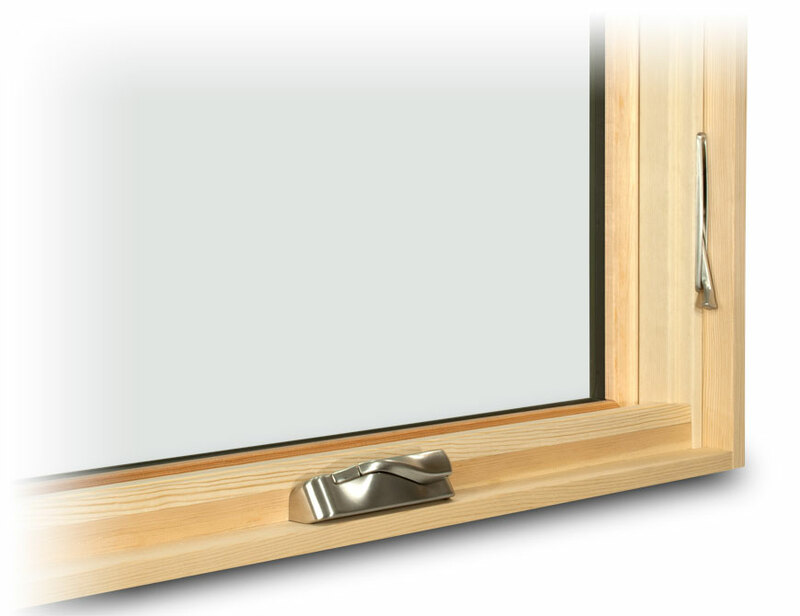 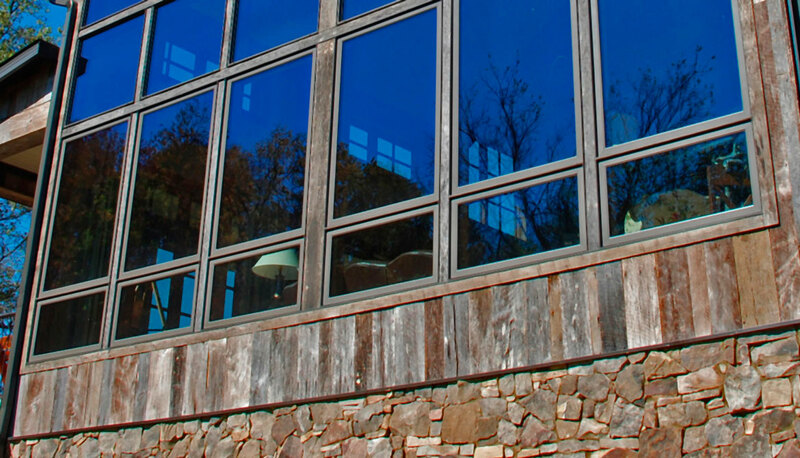 The SunClad™ Awning window is part of the Casement family of products. 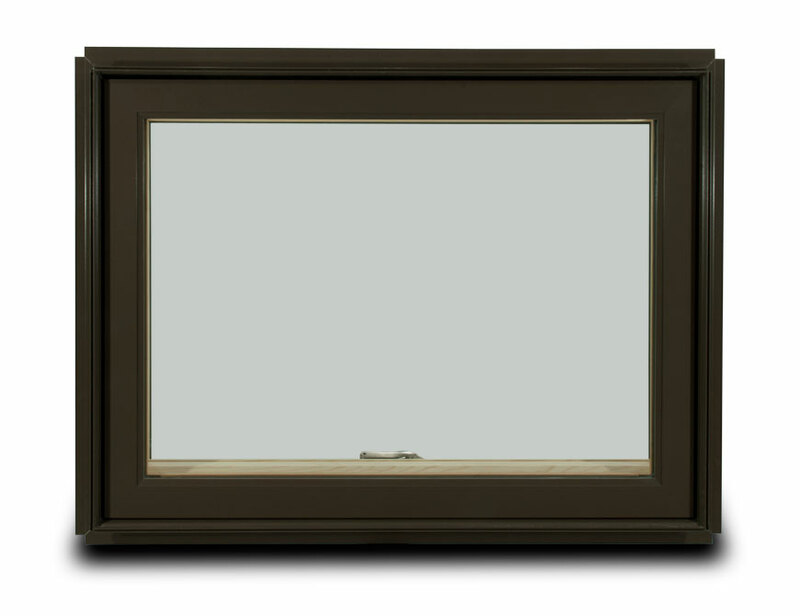 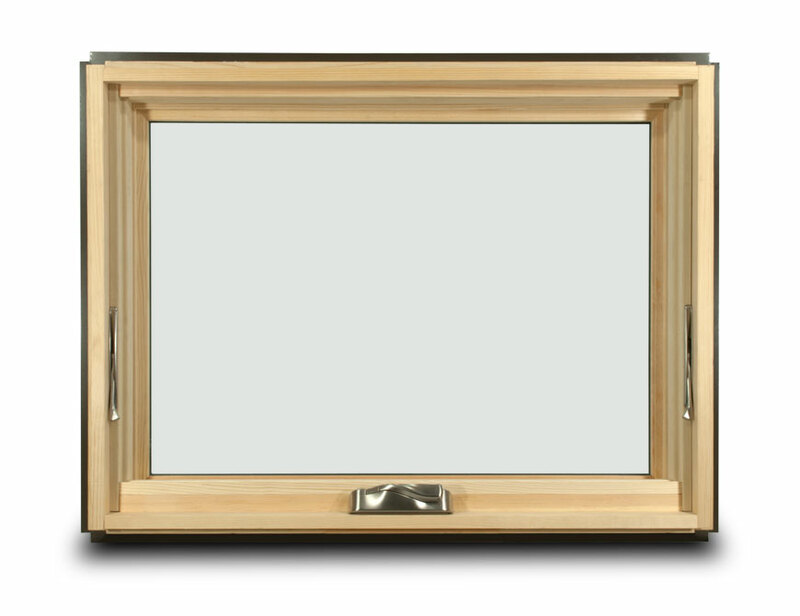 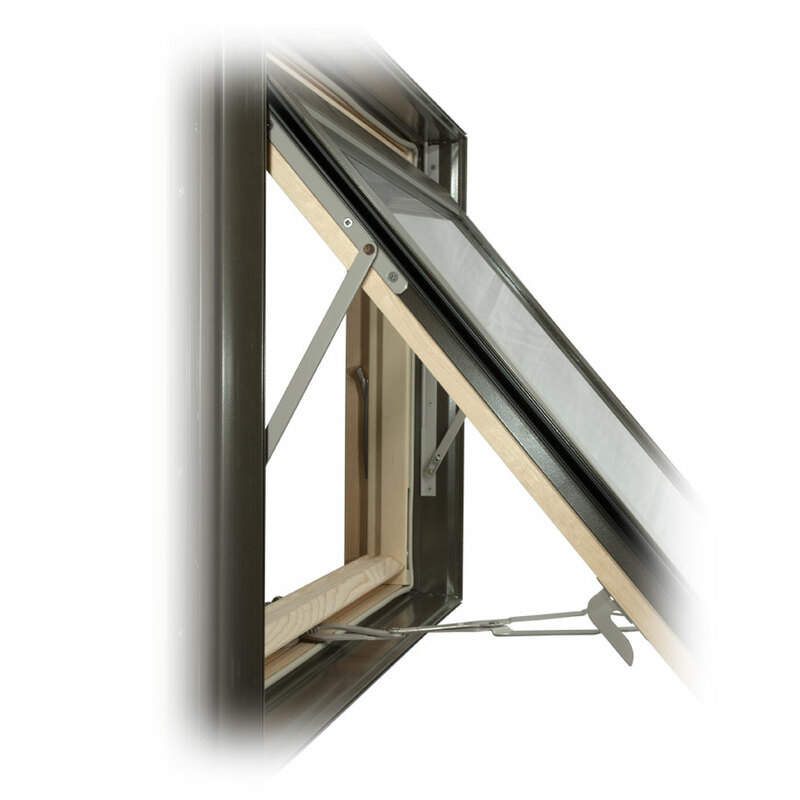 The frame and sash are nearly identical to the Casement. 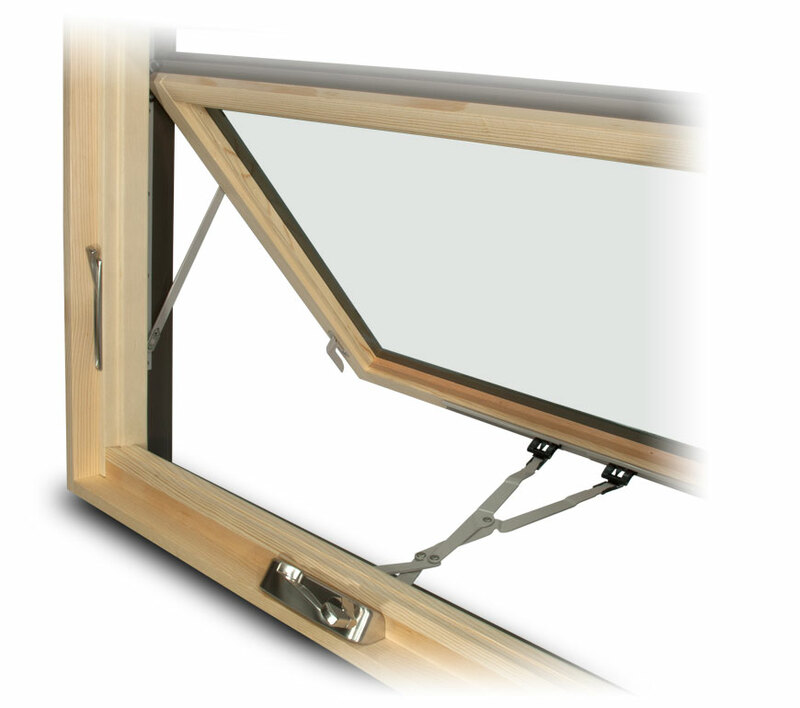 The main characteristic of the awning is that its sash is hinged near the top of the window, so that it opens outward and upward. 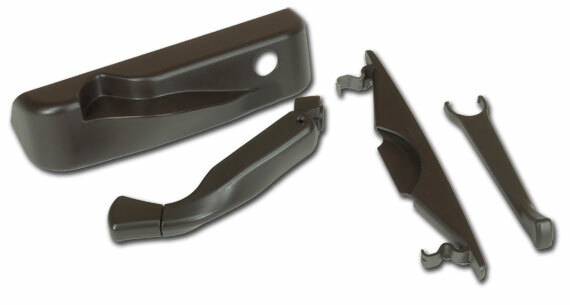 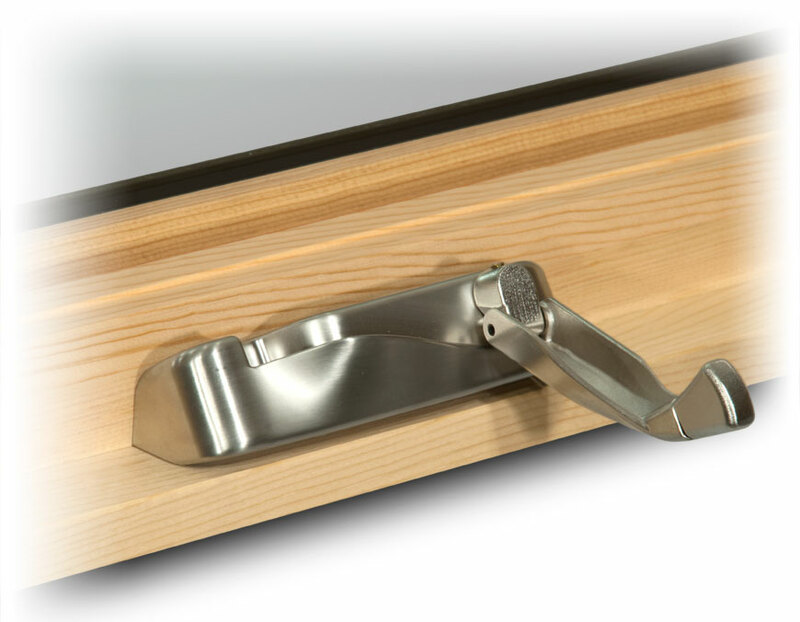 A single crank operator, with a fold-away style handle, is located at the center of the sill to open and close the sash. Two latch levers, one on each side jamb, unlock (and lock) the sash. 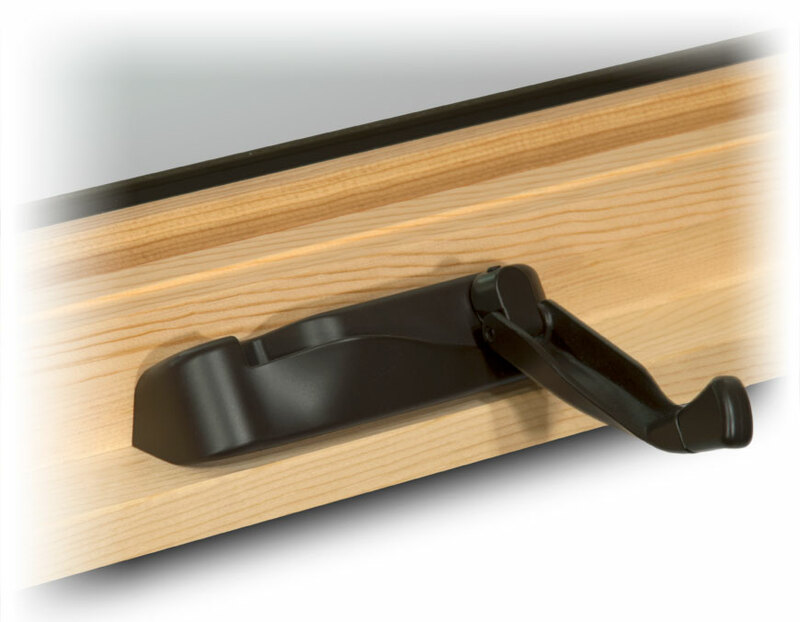 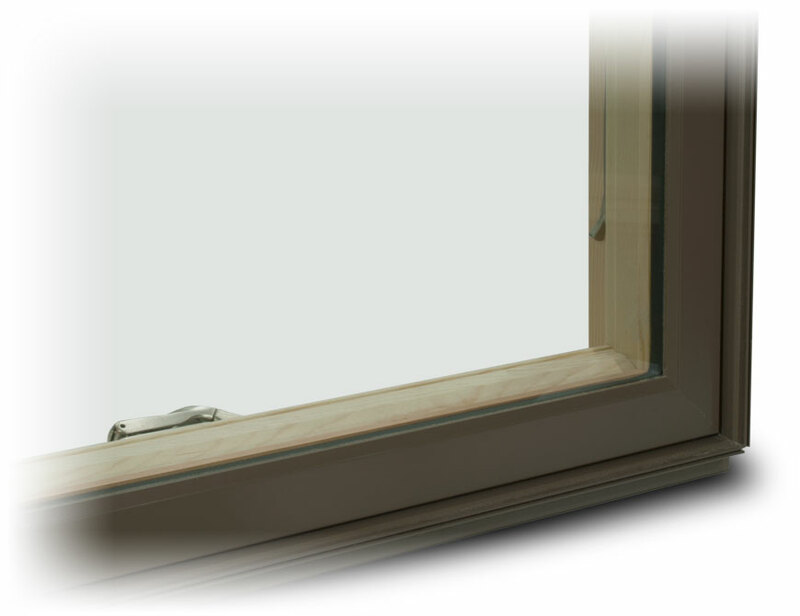 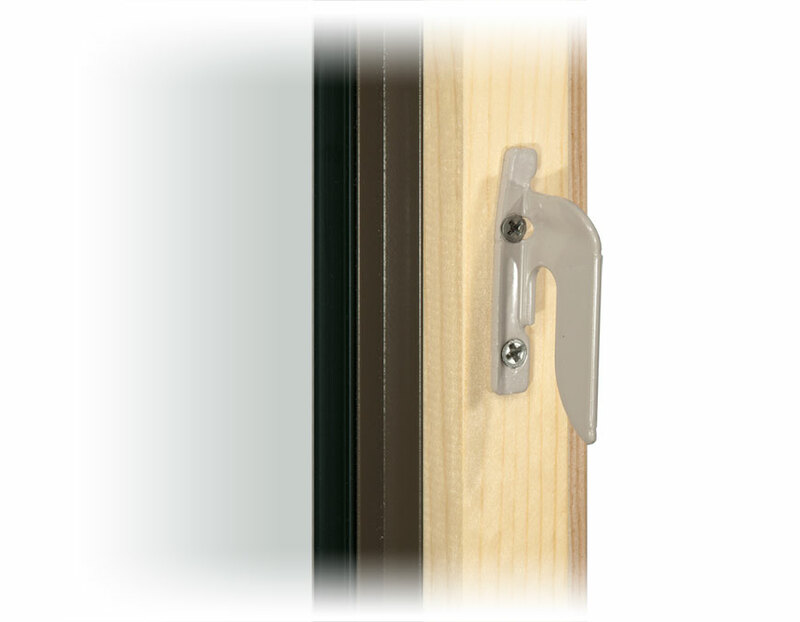 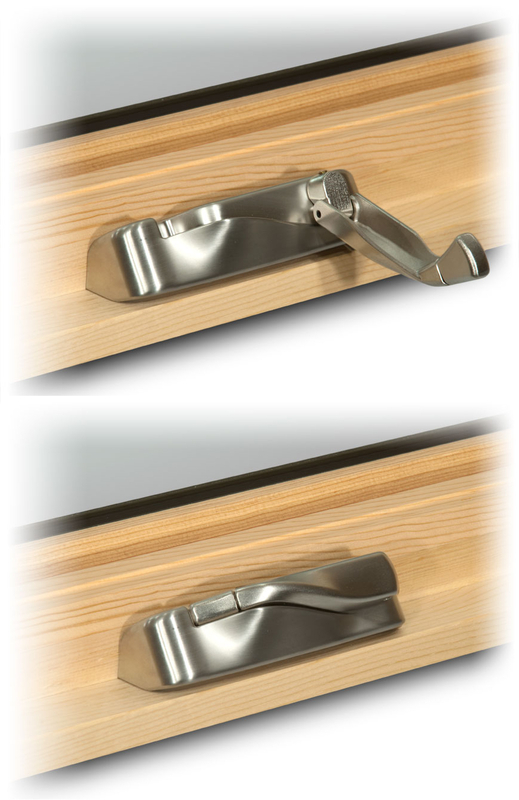 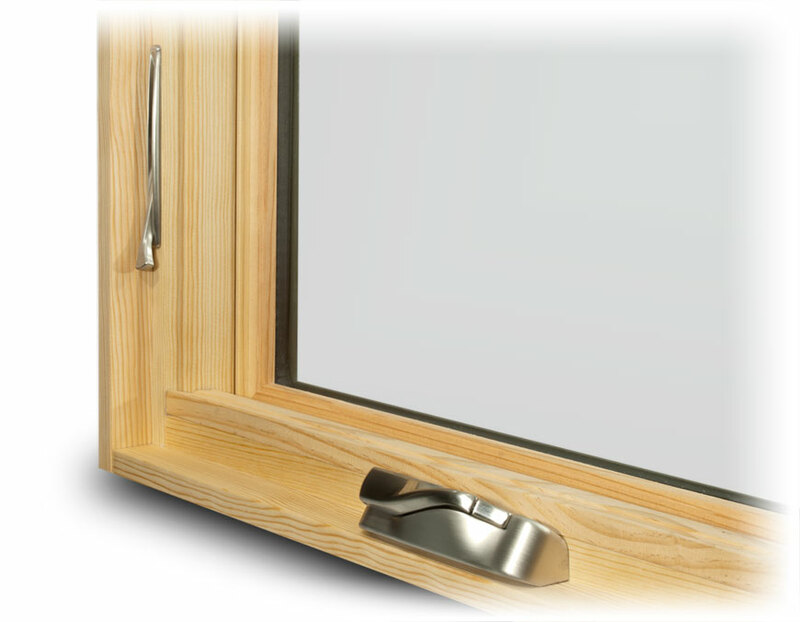 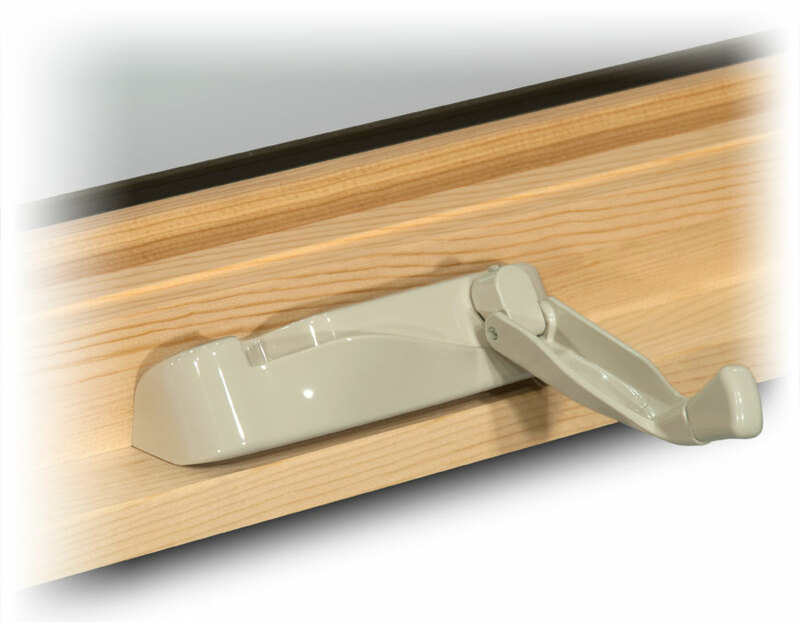 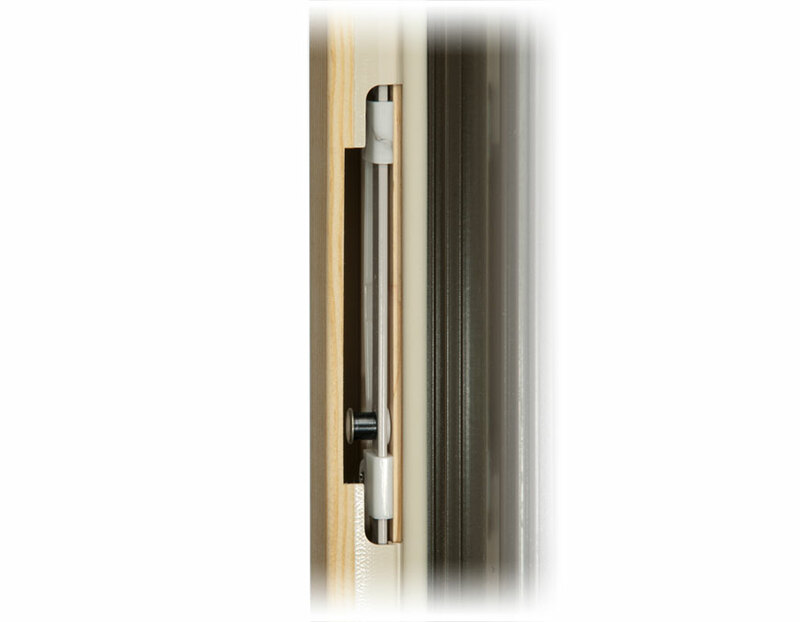 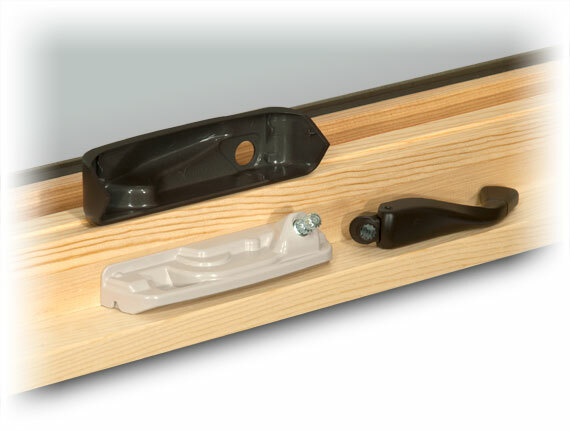 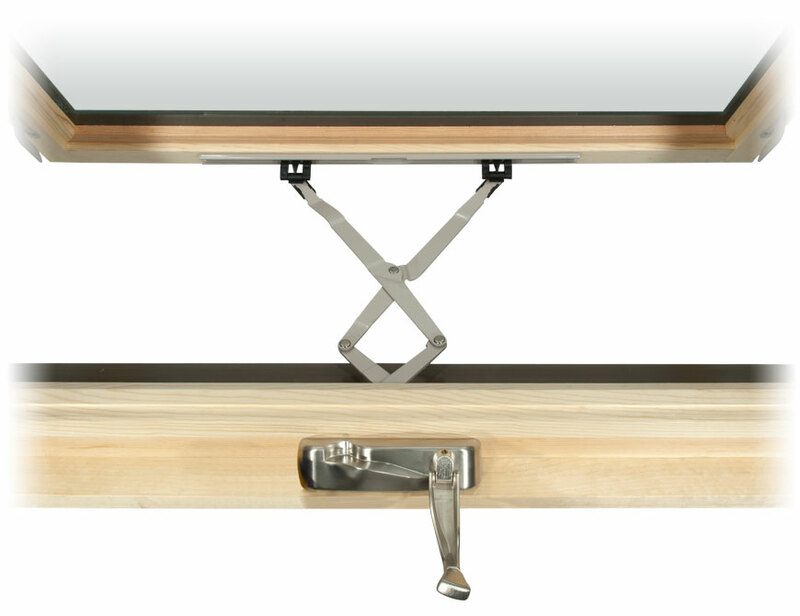 The hinge/glide system is located near the top of the sash so that it opens outward and up. Sash opening is limited by crank operator arms. 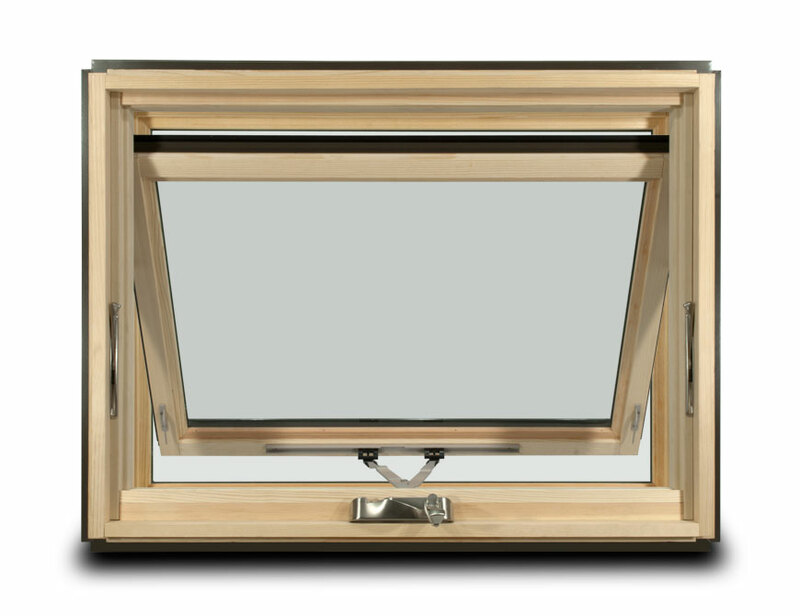 • Mulled units are available up to 4-wide or 4-high. 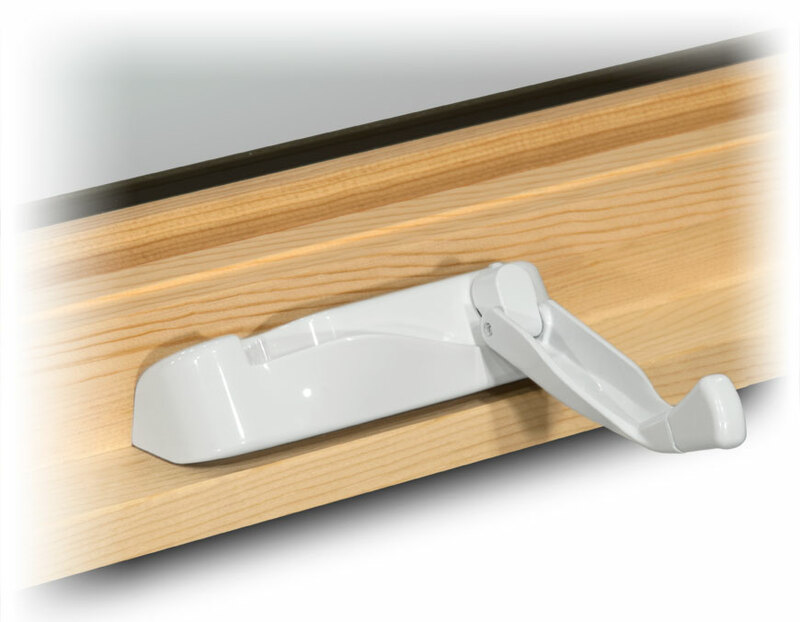 Awnings are frequently mulled with Sash Set Fixed Lites to make combination units. 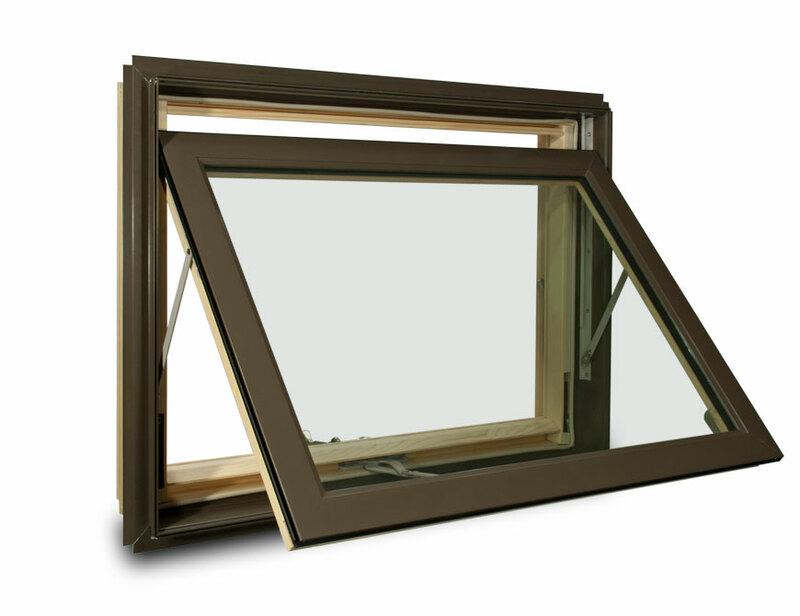 • Widths = 32”, 36”, 40”, 48”, 52”, 59”, 64”, 72"
• Heights = 16”, 20”, 24”, 28”, 30”, 32”, 36"